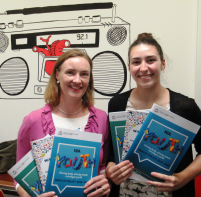 The Child and Youth Health Network aims to improve health outcomes for young people in our community by enabling consumers and carers, health professionals, hospitals, health services and the WA Department of Health to engage and collaborate effectively to facilitate health policy and increased coordination of care across the State. The Network is currently led by Dr Helen Wright and Dr Alide Smit. They are supported by an Executive Advisory Group, consisting of representatives from Health Service Providers, paediatrics, Department of Health, non-government organisations, research, carers and consumers. Register to join Health Networks (external site) and receive the latest information about the Child and Youth Health Network and updates from our other networks. The Western Australian Youth Health Policy 2018-2023: Strong body, strong minds - stronger youth and its Companion Resource aim to drive equitable, effective and coordinated health services that optimise the health and wellbeing of young people. The Policy provides a platform to articulate the voices of young people, providing insight in to their health experiences and needs. These views and ideas have been integral to informing the Policy, with participation from young people central to its development. The Policy and Companion Resource are the result of contributions from a large number of organisations and individuals from across the WA health system and the community. It demonstrates the WA health system’s commitment towards achieving the shared vision and strategic priorities of the Healthy, Safe and Thriving: National Strategic Framework for Child and Youth Health (external site). Hear from Youth Disability Consumer Representative, Grace Mills, who discusses how Health Networks has used quality engagement practices to connect with young people to inform policy development. Health Networks develops models of care, policy frameworks and guidelines to provide a cohesive and consistent plan for health care across WA. Implementation of these resources occurs in partnership with the Health Service Providers and other organisations involved in health care. The Department of Health has released Western Australia's first blueprint to help prevent and address Fetal Alcohol Spectrum Disorder, which is the range of effects caused to a child by their mother drinking alcohol during pregnancy. This model of care is supported by a range of resources and organisations that help health professionals and their clients understand more about FASD and its impact. The Child and Youth Health Network is involved in the development of a range of models of care and resources with the aim of achieving the highest possible standards of care for all children and youth in Western Australia. For consumer resources related to child and youth health issues, visit the HealthyWA Life Stage (external site) page.